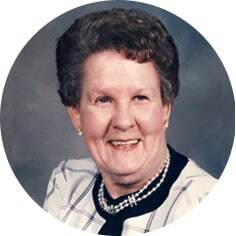 Violet Beretha Neufeld, aged 90 years of Medicine Hat, AB passed away on Thursday, March 21st, 2019. Violet was born in the Piapot district, SK. She married Abe Neufeld on February 13th, 1948 and together they raised 6 children in the Caron district. She was predeceased by her husband, Abe; and daughter, Judy. Violet will be lovingly remembered by her family: Larry (Katherine), Bob (Margaret), Leonard (Margaret), Shirley (Daryl) McLean, and Dave (Wanda); 18 grandchildren, 25 great-grandchildren and 1 great-great-grandson. A Time of Fellowship will be held on Tuesday, March 26th, 2019 at 1:00 p.m. in the Harvey room at Moose Jaw Funeral Home. A private family interment will take place at Caron Cemetery. Flowers are gratefully declined. As an expression of sympathy, donations in Violet’s name may be made to a charity of one’s choice. Arrangements are entrusted to Moose Jaw Funeral Home, 268 Mulberry Lane. Todd Sjoberg, Funeral Director 306-693-4550. My wife and I James Sikorski like to offer our condolences to the family for losing your dear one in death. We also like to offer you all some comfort that is mention in the Bible Acts 24: 15. So sorry for the loss of your Mother Larry & Katherine. Heaven has gained another Angel…..may she RIP. Condolence’s on the passing of your Mother. Our thoughts are with you !! May your memories get you through this tough time. Our deepest sympathy to the Neufeld family at this time of loss. This is a time of great sadness as we see a wonderful generation slowly leave us. So may we never forget the privilege of having had those loved ones among us. Remember the good times you had with your Mom and Granma. Precious memories will bring a smile to your heart. Sincere condolences to Larry and Katherine, Leonard and Margaret abd families.